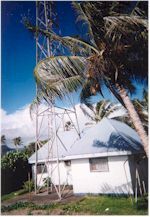 3XY operated by Efftee Broadcasters Pty. Ltd., was founded by the late F. W. Thring, well known in Australian theatrical and film circles. 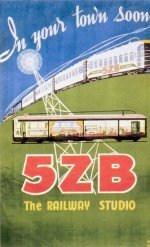 It began operations on September 8th, 1935. 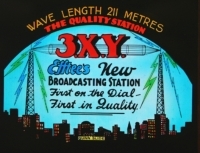 3XY is a completely self-contained unit, with offices, studios and transmitter all in the Princess Theatre Building, Spring Street, Melbourne, C.1. The station operates on 1420 kilocycles (211 metres) with a power of 600 watts. Hours of operation are 6.30 a.m. To 11.30 p.m. Daily; 8.00 a.m. To 10.30 p.m. Sundays. A feature of 3XY ever since its inception has been concentration on live-artist productions for direct broadcasting and for recording for future use and for distribution. The station maintains its own production department, and has been responsible for many feature presentations of celebrated stories in radio form. These productions, on process discs, have been used by radio stations in all States of the Commonwealth. 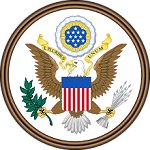 Necessarily curtailed during the war, this aspect of 3XY activities has been expanded recently, and a number of productions has been made and distributed on a Commonwealth-wide basis. The station also maintains its own independent news department, staffed by journalists of note, who cover overseas and local news and broadcast at regular hours, in addition to hourly "news-on-the-hour'' flashes. 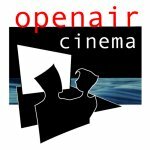 Directors: V.G.H. Harrison, Mrs. O. Thring, L. Shepherd. General Manager: F. R. Mogg. Sales Manager: Stan Thomas. Studio Manager: Alwyn Kurts. Chief Engineer: L. Shepherd. Studio Manager and Chief Announcer. Began his radio career in Western Australia, moving to 3XY in 1941, where he soon made his mark as announcer and compere. Mr Kurts is noted in the latter sphere as an extempore broadcaster of brilliance. He made radio history in 1943 when he flew to battle areas in New Guinea and brought back recorded messages from troops. These were broadcast to parents and friends and the radio audience at large. Since then he has made actuality broadcasts from battle areas in the Solomons, the Philippines and Burma. Popular young announcer and compere, who joined 3XY staff in 1943. Handles many feature sessions; was chosen in 1944 as most popular station personality in Melbourne's "Listener In'' contest. His hobbies are singing and sports, including tennis, cricket and swimming. One of 3XY's most popular personalities. Alex McNish has a ringing voice of great clarity. Born in Bristol, England, in 1914, he began at 3XY as breakfast announcer in 1943, later transferring to night sessions. Alex comperes stage presentations and features, but enjoys best his session as news reader. His hobbies are gardening, economics, history and swimming. He is married, with two children. Born in February, 1916, Carl Bleazby was educated at Melbourne Grammar School. He studied drama and voice production, and played with the Gregan McMahon Players in 1936. He joined the staff of 3XY in March 1937, and was one of the first of Melbourne's radio men to enlist on the outbreak of war in 1939. Joining up as a private, Carl was demobilised in August, 1945, with the rank of captain and returned to announcing at 3XY. While in Palestine with the A.I.F., Carl was appointed by Gen. Sir Thomas Blamey as A.I.F. 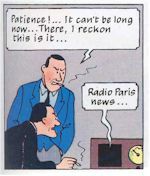 Radio Reporter, in which capacity he broadcast from Jerusalem Radio for eight months. Born in 1917, and educated at Sydney High School. Early work in films and stage brought him to radio, in which he began his career as an A.B.C. Player. 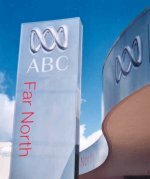 He then served in country stations in N.S.W., handling breakfast sessions, children's programmes and outside broadcasts. Joining 3XY in 1945, he soon became Uncle Tom to 20,000 "Peters Pals.'' Tom has compered outside productions and live-artist shows. He also writes and produce many 3XY afternoon features, in which he often acts many parts. 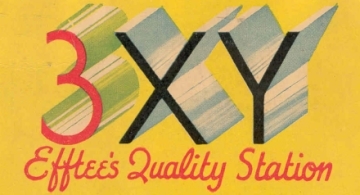 Joined 3XY on its inception in 1935, and assisted with the development of the station. He rose from his original position as record boy to become one of 3XY's popular night announcers, and was a featured player in many dramatic productions. He enlisted early in the war, and was discharged with the rank of Lieutenant in 1946, rejoining 3XY's announcing staff. 3XY's popular early morning announcer. Bern instituted and conducts the popular morning "Music for Mother" programme, as well as presenting other features of his own during weekly programmes. He came to 3XY after experience in country radio, following three years of Army service, in 1944. Producer; began his career with J. C. Williamson Ltd., working up to the position of stage director. He joined the late F. W. Thring's "Eftee'' film productions as casting manager, and came to 3XY on its inception. 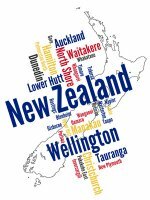 Later he left to undertake private business, and joined up with the Army during the war, becoming producer of the 7th Division concert party, with which he presented shows in New Guinea and in northern areas. 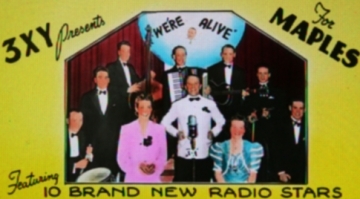 He rejoined 3XY as producer early in 1946. In charge of 3XY sessions for women, was born in Harrowgate, Yorkshire, England, and came to Australia with her parents in 1922. She was educated at the Abbey School, Melrose, Scotland, and Morongo College, Geelong. After trips abroad, she began her radio experience with country stations in Victoria and New South Wales, and enlisted for war work on the outbreak of hostilities, becoming assistant-controller of V.A.D. personnel for N.S.W., holding the rank of commander. Known on the air as 'Dorothy'' she came to 3XY during 1945, and is a popular broadcaster and worker for charity. 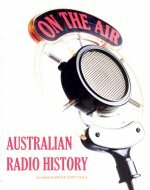 3XY Melbourne, Efftee Broadcasters Pty Ltd - For Live Artist Productions, 'Broadcast Year Book and Radio Listeners' Annual of Australia 1946-47. © Ray Crawford Collection, Radio Heritage Foundation. 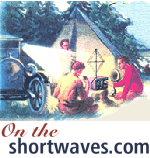 Digital version of text, images and layout © Radio Heritage Foundation 2009. This content is not made possible by anyone. I'm embarrassed to be here. I'm waiting for the state radio sponsor to arrive. He's late. Please just ask me to go away. I'm cheap. "I hate modern car radios. In my car, I don't even have a push button radio. It's just got a dial and two knobs. Just AM. One knob makes it louder, and one knob changes the station."